Committing to writing new blog stories and social media posts each week is not an easy task. However, if you can plan out what you will post ahead of time, it makes life a bit easier. 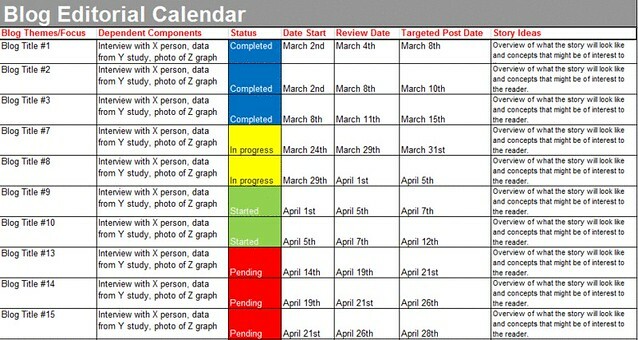 I thought I’d share some examples of editorial calendars that may be useful to your content marketing strategy. If you can plan your blog posts a few months in advance, you will not be left trying to figure out what to post each week at the last minute. Below is a screenshot of a handy format that you can use as a starting point. Make sure to include information that you will require from sources, plus your draft and posting deadlines to keep you on track. 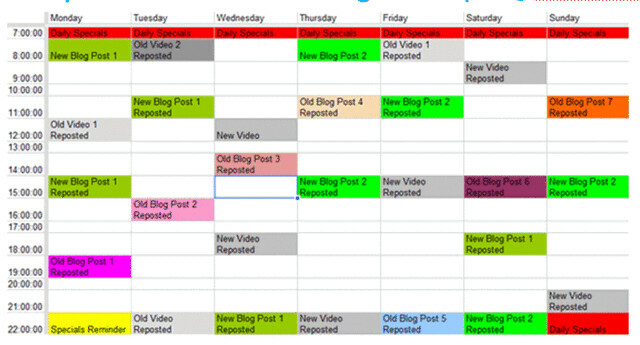 FlowTown has a great blog about scheduling Tweets for maximum exposure. The same rules apply to all social media profiles – it’s all about timing and ensuring that enough people see your message. The challenge with Twitter is that not everyone is watching your Twitter feed all of the time. So, you definitely need to post a story more than once – especially if you are not refreshing the content on your site on a daily basis. You shouldn’t post stories as frequently on Facebook as you do on Twitter. However, do consider posting an important story more than once over a the span of a week or two. Next What’s next for Twitter?